Unlike Todd Brown, my editor at Twitch, I just can't crank out two or three reviews a day during a festival. Not out-of-town on a laptop. Not countering humidity and cat allergies. Not while I'm prepping for interviews and schmoozing with old and new friends. Not in the journalistic maelstrom known as the Sutton Place press lounge. Not when I'm tempted at every hour by yet another film. As it stands, I caught 33 films out of the TIFF08 lineup and interviewed 10 directors; my most productive film festival yet! But at Twitch, like at The Greencine Daily, everyone's wrapping up their Toronto coverage just as I'm kicking into gear. I'm far from finished writing about the films I've seen; but, to satisfy Todd's request, here are my top ten favorite films and my five least favorite, both in descending order. 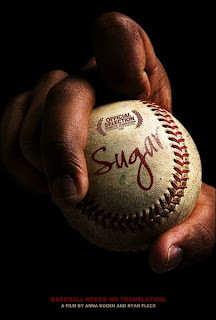 Sugar—Most folks caught this film at Sundance and it's a testament to the film's merits that it was included in the TIFF World Cinema lineup. It was—hands down—my favorite film for being so full of heart. Ryan Fleck and Anna Boden are compassionate filmmakers who capture the dignity of marginalized communities. Their work is genuine. JCVD—I've dismissed Jean-Claude Van Damme's career without having seen a single one of his movies, which is perhaps why I was so surprised and thoroughly entertained by this accomplished self-reverie. It reveals a depth and vulnerability behind the macho veneer that I would never have suspected. One can only hope that Van Damme is allowed the chance to flex an ability to act heretofore ignored. JCVD's upset of expectations and mediated fantasies was masterful. 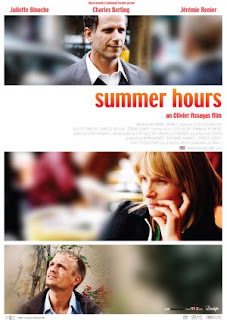 L'Heure d'été (Summer Hours)—Eschewing his recent pretenses at genre films, Olivier Assayas has returned to French roots to offer a nuanced family portrait and a philosophic rumination on the contrasting role of art in personal and public spheres. As a collector of art myself and the executor of two estates, I was quite moved by concerns I've rarely seen articulated in film. Un Barrage Contre le Pacifique (The Sea Wall)—By merely lifting an eyebrow Isabelle Huppert can make you feel 75 different conflicting emotions. Rithy Panh's political consciousness is in direct service to Marguerite Duras' anti-colonial narrative of a courageous woman resisting the inevitable waves of unjust colonization. By complicating the dynamic of inequitable power hierarchies, Panh reaffirms the value of unexpected cross-class solidarities and communal perseverance. 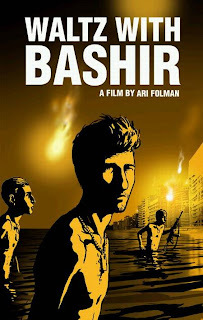 Waltz With Bashir—Dazzling animation serves to help distance the viewer from horrific events. The shadow of the Holocaust slants across repressed memories and haunts survivors by way of unrelenting guilt. If history—by necessity—must be engaging to demand attention, cinema affords the opportunity to remember our human failings so that we need not—hopefully—repeat them. Tokyo Sonata—Stretching his grasp of alterities to include laugh outloud humor and a whimsical score, Kiyoshi Kurosawa successfully reveals the hope beneath apocalyptic collapse. He has broadened his range with this family melodrama and emphasized the fragility of everyday constructions. Nothing is more horrifying. 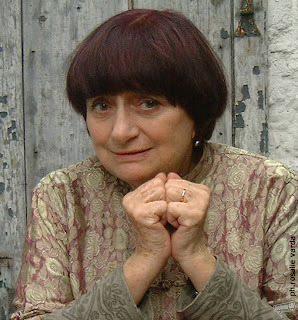 Les Plages d'Agnès (The Beaches of Agnès)—A biographical documentary as remarkable as this one underscores how remarkable a personality is Agnès Varda. Imaginative, fearless, creative, she opens herself up to reveal sandy terrains of memory. Playfully walking backwards in time while glancing askew in wind-tossed mirrors, she reminds of the reverse footage of Jean Cocteau who rendered memory and dream as a means of in-camera editing. Memory is, afterall, the best of special effects. Revanche—This film starts as a slow burn, shifts from the urban to the rural, and becomes a psychological thriller of revenge held in abeyance. Negotiating by way of secrets, rage and grief are barely tempered. Violence smolders like sexuality beneath the skin and retribution is only one cruelty away. 35 Rhums (35 Shots of Rum)—Another exercise in abeyance and enthrallment, Claire Denis presents a straightforward and simple treatment of Ozu's Late Spring. Shades more accessible than L'Intrus, this is not her best work but it's compelling nonetheless, punctuated here and there by poetic rapture. 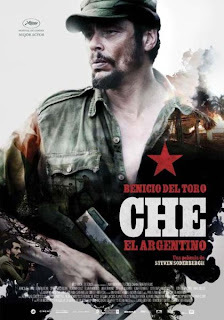 Che—Again, another example of cinema in service to the history lesson, essential in today's amnesiatic classroom. The first film is inspiring; the second defeating. They remind of the human qualities that make all ideologies fallible, especially revolutionary ones, which are so contingent upon the human and limited ideals they orbit. 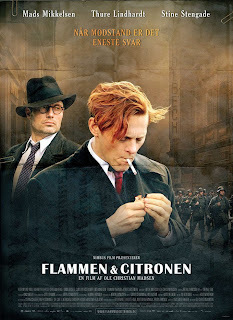 Flame & Citron—The heroism of the Danish Resistance is grafted onto these two individuals but on such a one-note basis that it's hard to feel much not being from Denmark. The film feels imitative, as if it is trying to accomplish what has already been accomplished by the cinematic treatments of Butch Cassidy & the Sundance Kid and Bonnie & Clyde. Two-Legged Horse—Though there were some truly poetic moments in this film, the filmmakers forgot the most important element of poetry: economy. By turning children into metaphors of political processes, they forfeited all feeling. The repeated cruelty becomes intolerable and is never resolved. By film's end I despised both children for their half-witted co-dependency. Under the Tree—I was quite fond of Garin Nugroho's last two films—Love and Eggs and Opera Jawa—and was hoping for a notable follow-up. Instead, I find a lateral move rendered in a shockingly dull palette and a convoluted, braided narrative. The press book was much more colorful and intelligible than the film. Martyrs—After all the hoopla that's been made about this film on Twitch, I am reminded yet again that a little genre goes a long ways. What a boring, pretentious piece of crap. I want my two hours back. Once again, a filmmaker thinks he is pushing the envelope by amping up the blood tactics. Truth is, all of this has been done before in paintings depicting Christian martyrs flayed alive. Nothing new here. Move along. Adam Resurrected—There's no question that surviving the Holocaust—however one must—is a commendable feat. However, directing Jeff Goldblum to channel Cesar Romero's Joker hardly intrigues and barely suffices. Schrader should bury this film in the back yard with the other dog bones. I have enough barking dogs on Bernal Heights, thank you. So glad you disliked Martyrs, too. I thought I was the only one! The entire group I was with despised it. So, no, you are not alone. I'm glad you spoke up; it afforded the chance to review your various responses to TIFF08. WOULD YOU MUSTARD MY HOLE WITH A GENIE, BABE?